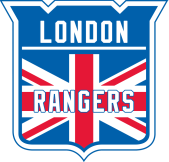 Whether you are new to London or wanting to get back on the ice, the Rangers are always looking to recruit talented hockey players. Please do not hesitate to contact our GM to discuss the different options for joining the club, or coming out for the occasional skate. If invited for a skate, the home ice rink of the London Rangers is the Alexandra Palace.